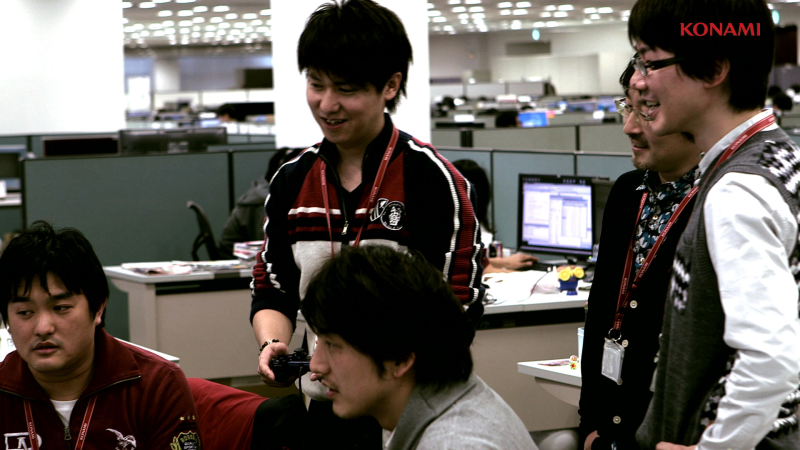 PES creative producer Kei Masuda has discussed the PES Team's plans for PES 2014, once again stating the series' new engine will be key if Konami are to bring the glory days back to PES. If you've played any football game, you'll know the majority of online matches tend to be decided by the speed and strength of players of the elite teams. But now, after years of virtually no encouragement for users to pick a 'weaker' team , it looks like Konami are now ready to tackle this long-lasting issue. In an interview with OPM UK, Kei Masuda explained all. "Our ultimate goal is to let you win with the team you love. If we can make a giant-killing possible, it's a huge difference to FIFA. Home crowds, mental strength, advanced tactics and other matchday factors will help your players to defy the odds and overcome your stronger opponent. The motivation built up from these factors will vary depending on the region of your side; UK fans will love a last-ditch crunching tackle, whereas Brazilian fans will go mad when you pull off a textbook nutmeg. Last month, Kei Masuda said the new engine will take PES "much further than any other sports title". The "extremely flexible and very powerful" new engine will debut later this year on PS3, and will allow a seamless transition to PS4. After Konami's disappointing, possibly unambitious, transition from PS2 to PS3, the tables were turned and EA were able to take advantage. "Our biggest struggles were with online play. As we moved to PS3, EA changed its engine, but ours was based on the PS2 game. We only brushed up on animation and some of the AI features. Intriguingly, Konami have also confirmed they are investigating new editing tools and a "better environment" to allow fans to share their editing data with one another. Fans should expect more information on this once PES 2014 is officially unveiled by Konami.